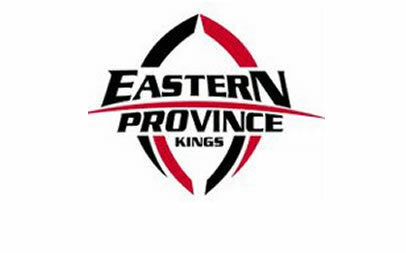 The Eastern Province Kings will face the Griquas in Kimberly on Wednesday with an almost completely new team, with just one position unchanged in the starting lineup. Head Coach Barend Pieterse announced the much changed team as the Kings prepare for their upcoming match in Kimberly just four days after a tough hit out against Western Province at the Nelson Mandela Bay Stadium in Port Elizabeth on Saturday. Pieterse has appointed Martin Bezuidenhout as captain, giving Ricky Schroeder and Mike Willemse, both of whom led the team on the weekend, a rest ahead of the EP Kings match against the Free State Cheetahs in Bloemfontein on Saturday. “We have always said that these three games are going to have to be a squad effort,” said Pieterse. “A number of the players who will be playing on Wednesday will be making their debuts, but it is an opportunity for them to show what they are capable of, it is why they are here and are part of the squad, so this is an opportunity for them to do their thing ” he said. Up front Bezuidenhout, who comes up from the bench to captain the side, is joined by props Barend Potgieter and Pieter Stemmet. Locks are Dylan Pieterse, off the bench and Hannes Huishamen. The loose trio consist of former Griffons payer, Dirk Grobbelaar at 8th man, along with Brandon Brown and Luke van der Smit who also come up from the bench. Among the backs, JC Greyling, who hails from Namibia, is the only person who retains his spot at outside centre, and is joined by Siphumelele Msutwana at inside centre. Scrumhalf is Jacques Fick , and Lungelo Goza comes off the bench to cover flyhalf. Minenhle Mthethwa and Alcino Izaacs take over at left and right wing respectively, while Ganfried May covers fullback. Pieterse said the short lead time between the games, as well as the fact that both the Griquas and Free State Cheetahs games were away games, requiring travel, meant that preparation and training schedules were impacted. “I have not seen the team for Griquas yet, but I know they will be fielding their strongest team possible against us and will be looking to take five points,” said Pieterse. The Griquas will have a bye this weekend, when the Kings will be playing the Free State Cheetahs in Bloemfontein. Pieterse said although the scoreboard had not reflected it, there were a number of positives to come out of the game against Western Province over the past weekend. “There was certainly not a lack of effort on the players part, and the set pieces were sound. The forwards stood their ground to stop the mauls and breaks in defense were mostly due to individual errors, rather than system errors,” he said. “These are things that we can work on and we can fix,” he said.